Pompeo's words came on the heels of Iran's foreign ministry issuing a formal response to this week's US sanctions snap back on the energy sector, publishing a 3-minute video of FM Javad Zarif on Tuesday wherein Zarif emphasized that the sanctions mainly targeted average Iranian citizens, referencing "the economic warfare that directly targets the Iranian people." But with hundreds of thousands of common Iranians reportedly now struggling to find life-saving medicines due to the sanctions, we doubt the Iranian public is going to be convinced of Washington's "care" and "concern" for common Iranians. Addressing the medicine issue in the BBC interview, Pompeo denied that the US was disallowing the flow of life-saving drugs into the country, and made the following assertion: "Not only are the transactions themselves exempted – that is, the transactions in medicine, for example – but the financial transactions connected to that activity also are authorized," he said. Pompeo also claimed that "None of the sanctions that have been imposed prevent humanitarian assistance and, indeed, there are big exemptions for medicine for sure, pharmaceuticals, but also more broadly than that for agricultural imports too." 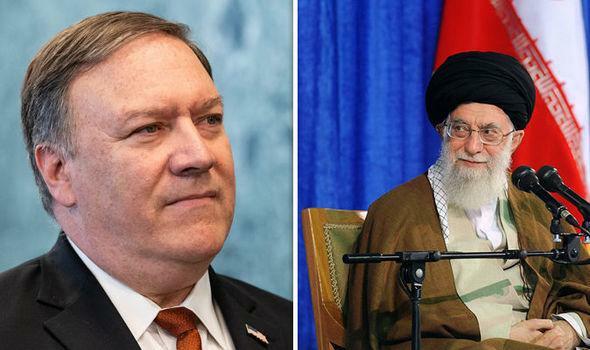 Recent words out of Tehran suggest that Iranian leadership is prepared to settle in for a "long siege" which could result in a years-long stalemate, while continuing to find ways to circumvent US sanctions and while urging Europe to help it weather the storm.